Stephen Butzlaff’s photos present to us, sometimes in a humorous and satirical way, the essence of the human experience. His photos speak to our feelings, what takes place in our everyday lives, what surrounds us, what moves us, and what makes us tick. You’re most likely to find Stephen on the streets of Chicago, New York, or Miami, where he has a gift for capturing timeless sights and sounds of urban living. 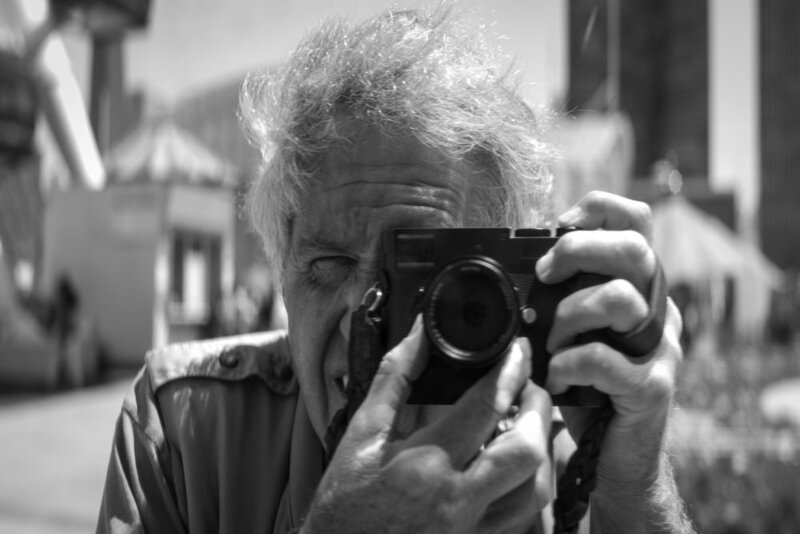 With his Leica M Rangefinder digital camera, and often in stunning black and white, Stephen preserves images of the beauty, the folly, and the complexity of our urban landscapes, as well as those who visit and inhabit them. His work is often beautiful, and always inspiring and thought provoking. All who know Stephen would say that he can be intense, and that certainly he can be eccentric. “Eccentric” perhaps best describes a man who is known to be seen in his yard in autumn, bending over to pick up leaves. He picks them up and bags them by hand - one leaf at a time.